annual InterMET Asia conference in Singapore. partnerships with NMHS around the globe. live storm-tracking and alerting through Sferic Maps and Sferic Mobile. capabilities into its multi-hazard early warning platform. 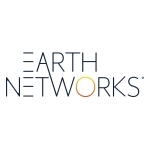 flashes detected by the Earth Networks Total Lightning Network. hail, strong winds and increased threat of tornadic activity. advanced notice of severe weather potential by up to 45 minutes. information not captured by traditional radar. regarding risk management, business continuity, and asset protection.